Bahía is an incredibly colorful and vibrant state full of history and culture with a deep Afro-Brazilian heritage. 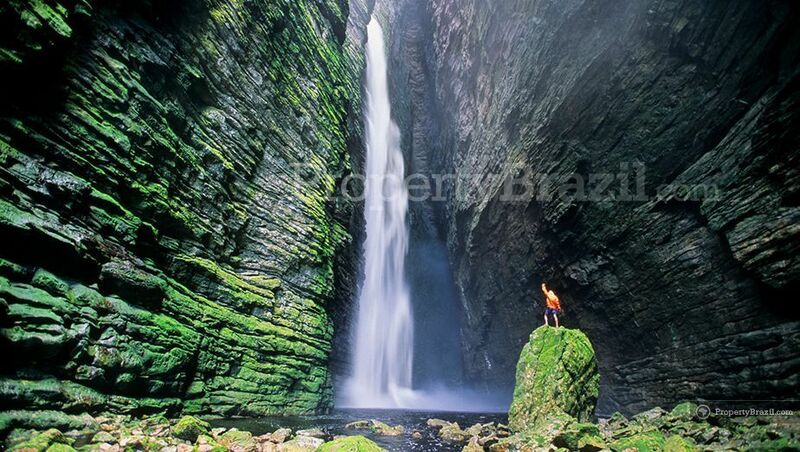 The coastline of 1103 km is the longest of all states in Brazil and is lined with stunning white sand beaches, beautiful islands, charming coastal villages, beach resorts and lush Atlantic rain forest. Sometimes referred to as “land of happiness”, Bahía offers music lovers with unique experiences and the yearly Carnival in state capital Salvador is the biggest street Carnival in the world. With a size of 567 295 km2, Bahía alone is bigger than Spain and there is virtually a world to discover. The state’s coastline is usually divided in various parts as follows: Salvador, Baía de Todos os Santos, Costa dos Coqueiros, Costa do Dendê, Costa do Cacau, Costa do Descubrimento and Costa das Baleias. Founded in 1549, Salvador was the first capital of Brazil and remained the most important city in the country for nearly three hundred years. Due to its rich history, the town has a fascinating architectural heritage with over 800 preserved historical buildings and today they are declared a UNESCO World Heritage Site. The most famous area in the historical center is Pelourinho which enjoys the highest concentration of historical buildings. Pelourinho simply must be visited by anyone on vacations in Bahía. 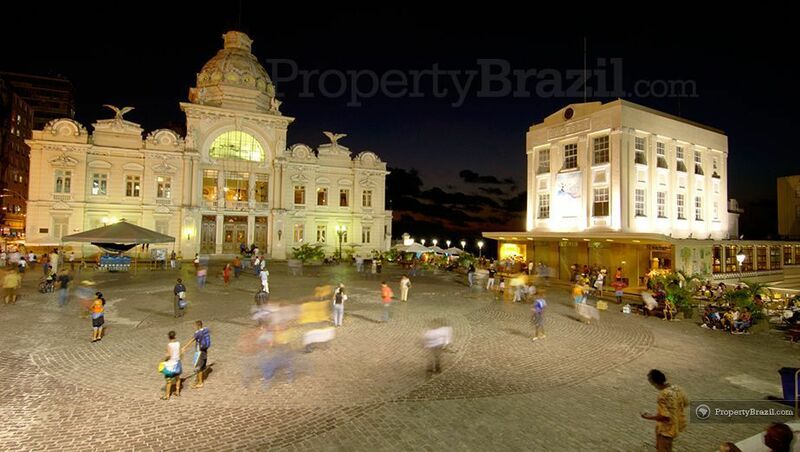 Salvador is the most African city in the world located outside of the African continent. Due to its deep Afro-Brazilian roots with 80% of the population with African descendants, the city is home to some of the most amazing music in Brazil. 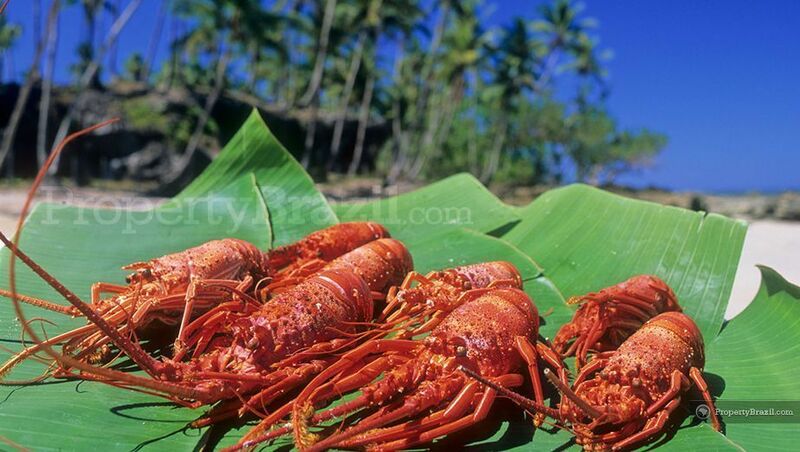 Tourists coming here will witness incredible drumbeats and music, open-air concerts and lots of dancing. The state capital is a very unique place and it will definitely give anyone a big reason to smile and feel good. Welcome to the land of happiness! Please see the Salvador travel guide for more information about the city. Baía de Todos os Santos with its 56 islands is the biggest bay in Brazil and is also considered the largest tropical bay in the world. It is the preferred location for nautical sport lovers and the bay sees many nautical events throughout the year. Several international sailing competitions also stop over each year in Baía de Todos os Santos due to its great suitability for sailing. 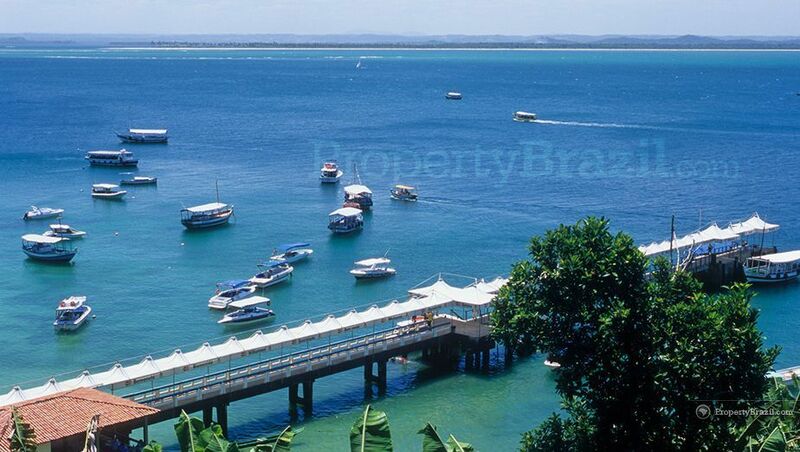 The bay’s biggest island is the beautiful Ilha de Itaparica. 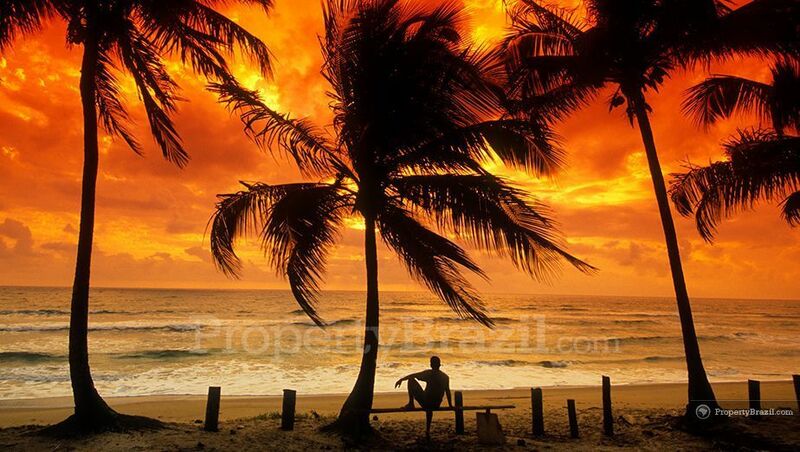 The north coast from Salvador offers a long stretch of stunning beaches all the way to Mangue Seco close to the state border with Sergipe and Bahía. 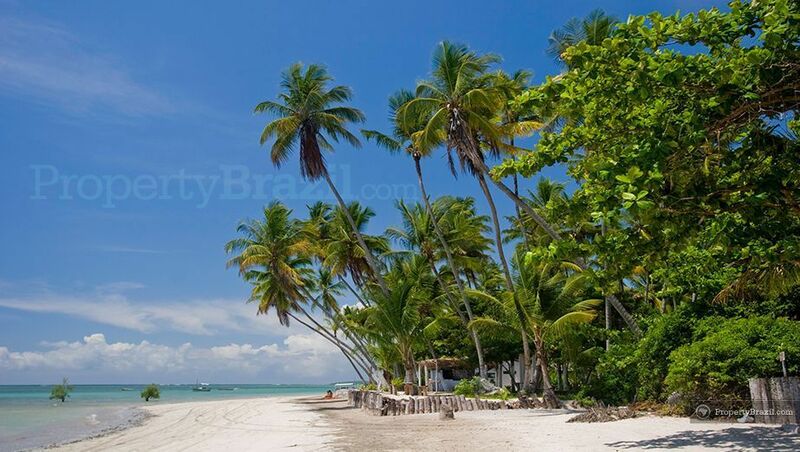 This is where the famous “Estrada do Coco” and “Linha Verde” leads you north and one can access many gorgeous beaches like Arempebe, Itacimirim, Praia do Forte and Costa Sauípe. Praia do Forte and Costa Sauípe are the most famous areas on this stretch of the coastline as they offer a modern infrastructure with international hotels and some of the best golf courses in Brazil. The Iberostar Praia do Forte Golf Club enjoys a superb setting and the Costa do Sauípe Golf Links is equally as impressive. The south coast from the state capital, Costa do Dendê, includes the famous paradisiacal islands of Morro de Sāo Paulo and Boipeba. Morro de Sāo Paulo attracts tourists from a wide range of countries and the island offers a great tourist infrastructure and stunning beaches. There are no cars allowed here which adds to the charm. There are plenty of accommodation options, restaurants and a lively nightlife. 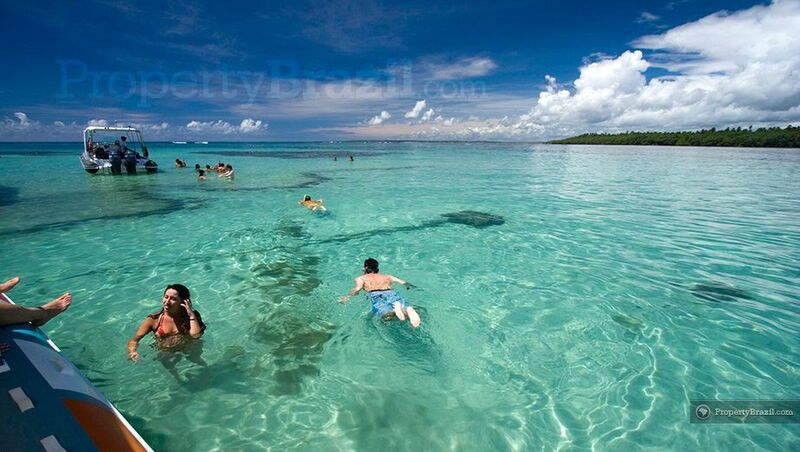 Peninsula de Maraú with famous beaches like Barra Grande and Taipús de Fora, offers truly stunning beaches and great snorkeling in the reef protected transparent waters. 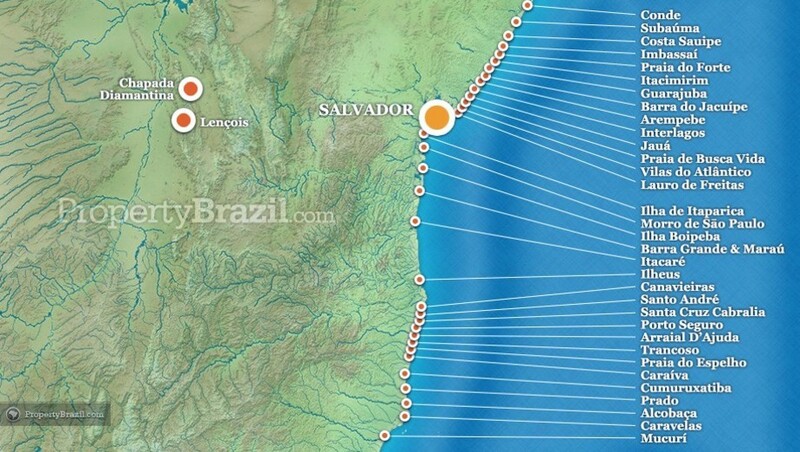 On this stretch of the Bahía coastline one finds Ilhéus, Itacaré and Canavieiras. Ilhéus used to be a major cocoa port and offers interesting architecture. 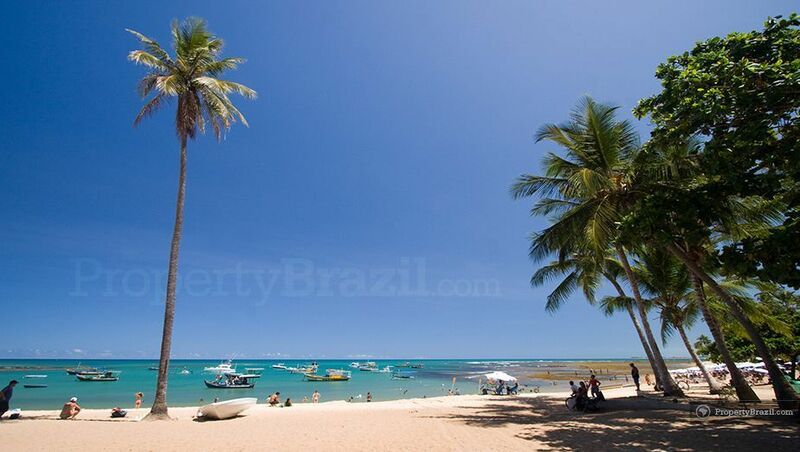 The impressive beach town of Itacaré is internationally known and is one of the few areas in northeastern Brazil where the original Atlantic rainforest still exists by the coastline. 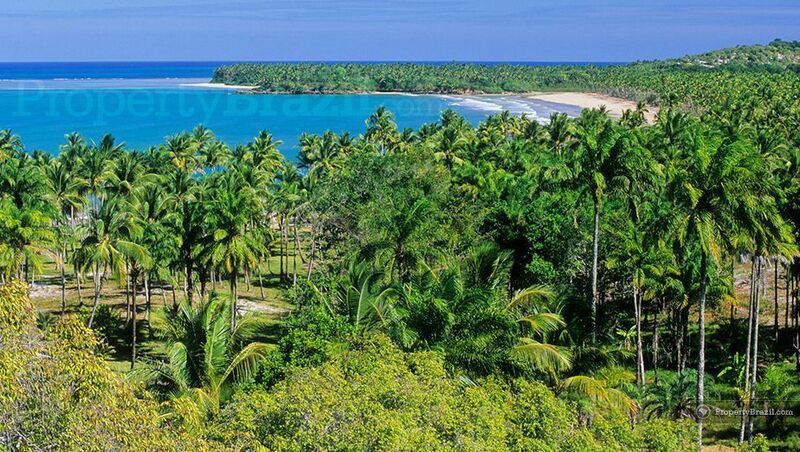 Itacaré is a sophisticated and charming beach destination and benefits from plenty of tropical and stunning beaches, luxury accommodation options and good restaurants. Itacaré is famous for its great surfing conditions and is also known for having some of the best rafting in the country. 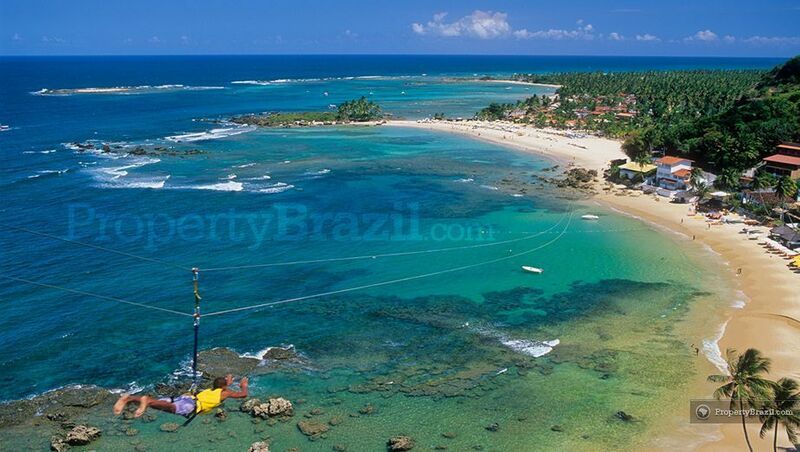 Canavieiras further south with its impressive beaches is known for offering some of the best blue- marlin fishing in Brazil and attracts enthusiastic sport fishers from all over the world. 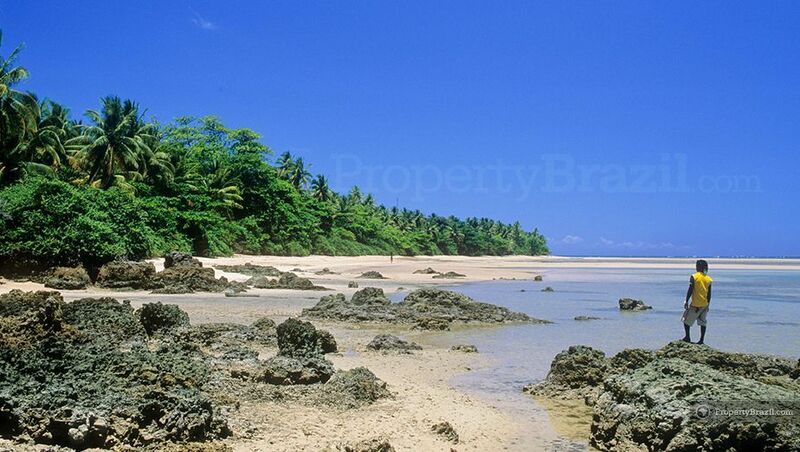 As the name implies (Discovery Coast), this is the coastline Cabral is said to have arrived on when he discovered Brazil. 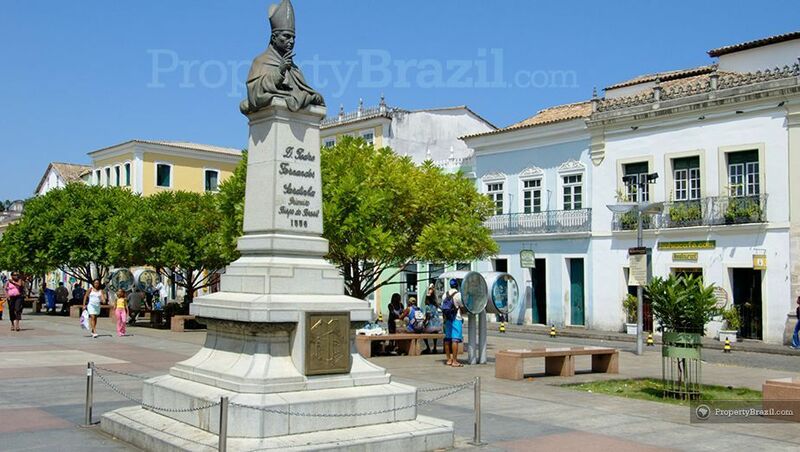 A historical monument marking Portugal’s possession of the newly discovered country can be seen in Porto Seguro, which was the location the Portuguese first came ashore. 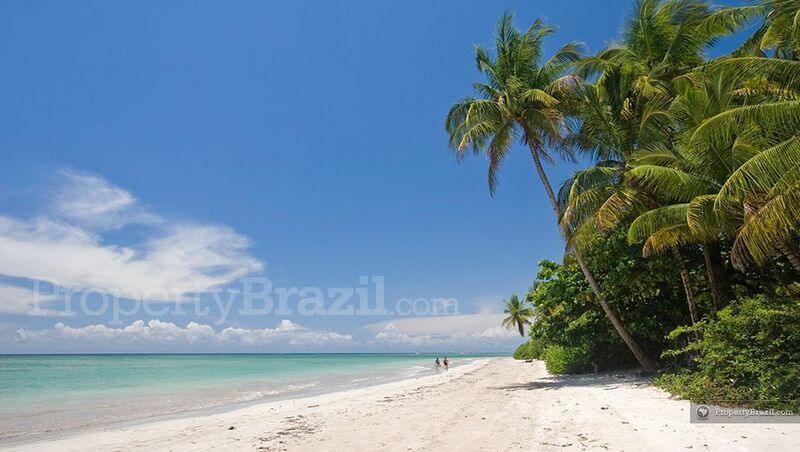 Enjoying domestic and international fame, Arraial D’Ajuda and Trancoso are two famous and very charming coastal towns just south of Porto Seguro and both offer a high degree of sophistication, great infrastructure, delicious cuisine and some incredibly stunning beaches. 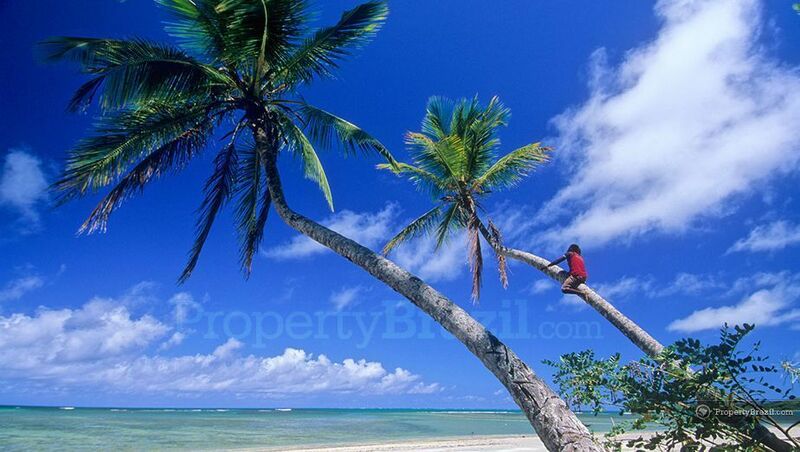 The famous Terra Vista golf course is located in the area of Trancoso. Moving further south along Bahía’s Discovery Coast one finds the beautiful beach towns of Caraíva and Cumuruxatiba. Clear water and beautiful coral reefs can be found on this stretch of the coastline in Bahía. The beautiful Abrolhos archipelago is located 67 km offshore and offers some of the country’s best diving. Humpback whales have chosen the Parque Nacional Marinho de Abrolhos as their breeding ground and there are whale-watching tours on offer in the area. Other destinations on the “whale coast” include Prado, Alcobaça, Caravelas and Mucurí. 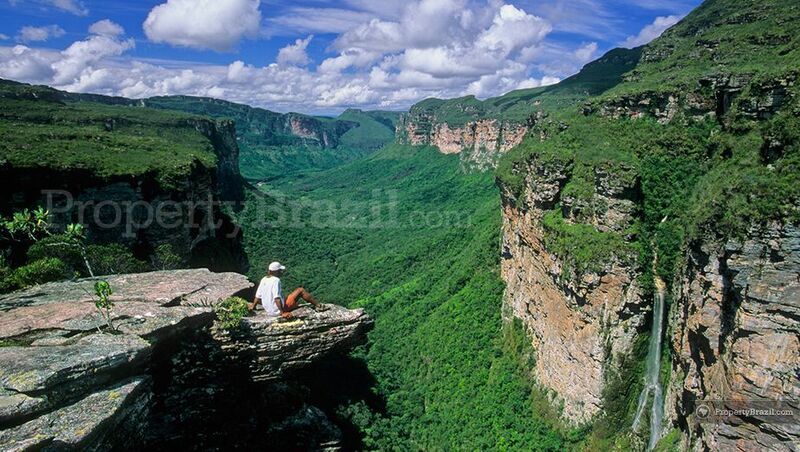 Chapada Diamantina is one of the most famous inland tourist destinations in Brazil. This fantastic national park spreads over 152 000 hectares and offers truly mind-blowing nature and is visited by tourists from all over the world. 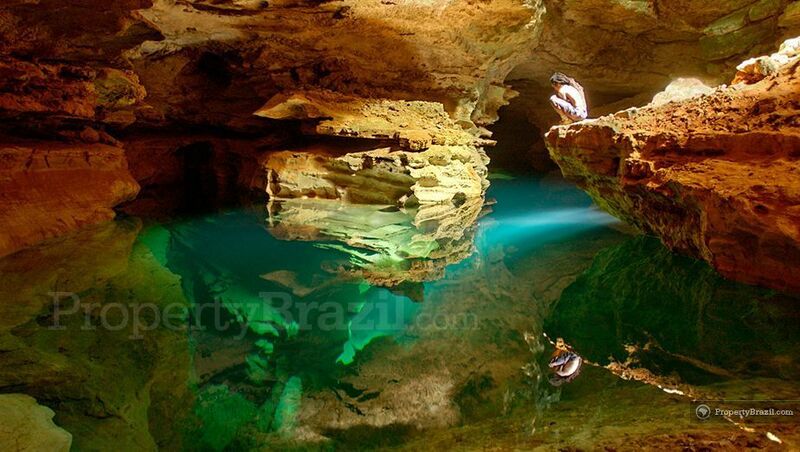 In Chapada Diamantina you’ll find great canyons, waterfalls, rivers and stunning caves perfect for enjoying trekking, biking, snorkeling and more adrenaline producing activities such as bungee jumping and rappelling. The main international airport in Bahía, Deputado Luís Eduardo Magalhães, is located in state capital Salvador. In addition to domestic flights from virtually all over the country, the airport also receives plenty of international flights. To learn more about flying here, please visit our flight guide. You can also join the discussion in the forum where you can ask questions or reply to questions posted by other travelers.